New Year’s resolutions: those pesky little promises we make to ourselves in January to keep us on track in the new year. We encourage ourselves to achieve goals related to mental health, travel, exercise and our careers, but what about our homes? It’s easy to forget that our houses need a little TLC sometimes too. Though some may consider buying or selling real estate or renovating their houses top to bottom in 2018, your at-home New Year’s resolutions don’t need to be extreme to help you feel more settled. There are many simple things you can do to make your space a happier place. We all do it. Stashing away the possessions we love a little too much to lose but don’t want to look at every day. Do yourself and your stuff a favour and go through your drawers and closets. Throw out, donate or give away all the items you can part with and organize the ones that really have sentimental value. Make sure you come up with a system of organization that suits you and your space for the long-term so you don’t have to keep cleaning out the same storage spots over and over. No, we’re not talking about those leftover festive sweets in the back of your cupboards. You know those odd jobs you’ve been putting aside for ages? The time has come! The slower and colder months of January and February are the perfect time to stay in on your days off and fix all the little annoyances you’ve been meaning to repair. Perhaps you’ve got a corkboard you’ve yet to hang or a wall that needs painting. 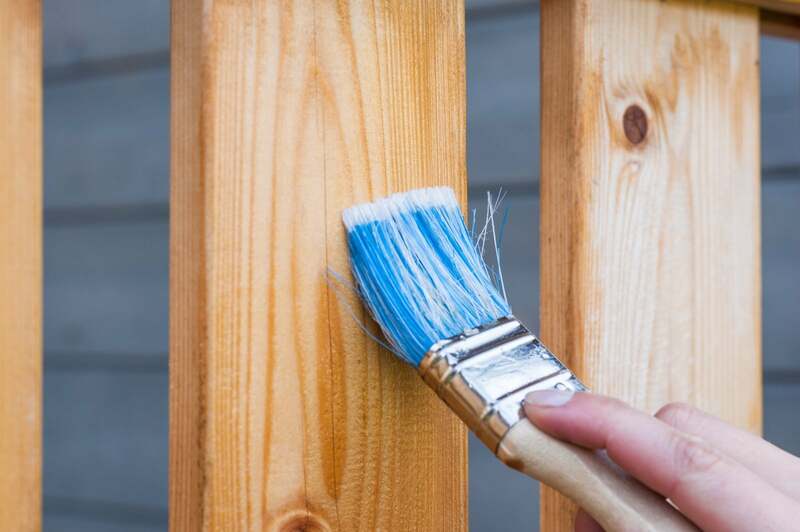 Though it won’t seem like much at first, your house will quickly become homier as you resolve the small to-dos on your home repairs list. If you’ve got little ones running around, enlisting their assistance is a great way to spend time together as a family as well. Whether they’re helping you shovel the driveway or pot a new plant for the living room, your family members will feel more at home when they see their own hard work around your space too. We could all use a little bit of extra cash when the holiday season comes to a close. An easy way to save some money is to take a closer look at your energy bills. Have you been leaving your heat on all day, every day? Are you bad at turning the lights off when you leave a room or forgetting to switch off the tap while you’re brushing your teeth? By properly reading your hydro bill and assessing your energy and water use there’s a good chance you can save more than a penny or two. Make sure all your alarms are in working order by checking batteries and running proper tests. Alarms you should check include your front door and window alarms, carbon monoxide detectors and fire alarms. Another great way to spend some time together as a family is by developing a fire drill for your home. What are the best exits to use if the alarms go off and where will you meet outside if something happens? Making sure everyone is on the same page will help you and your kids feel safer in their space this year. Volunteer locally this year. The Victoria Police Department offers information on its website about Block Watch, a community initiative run throughout BC. The mission of Block Watch is to build safer communities by providing support, guidance, training and resource materials to develop and operate neighbourhood watch programs. Starting a watch in your area is a great way to make your home a safer place for not only you and your family but for your entire neighbourhood.